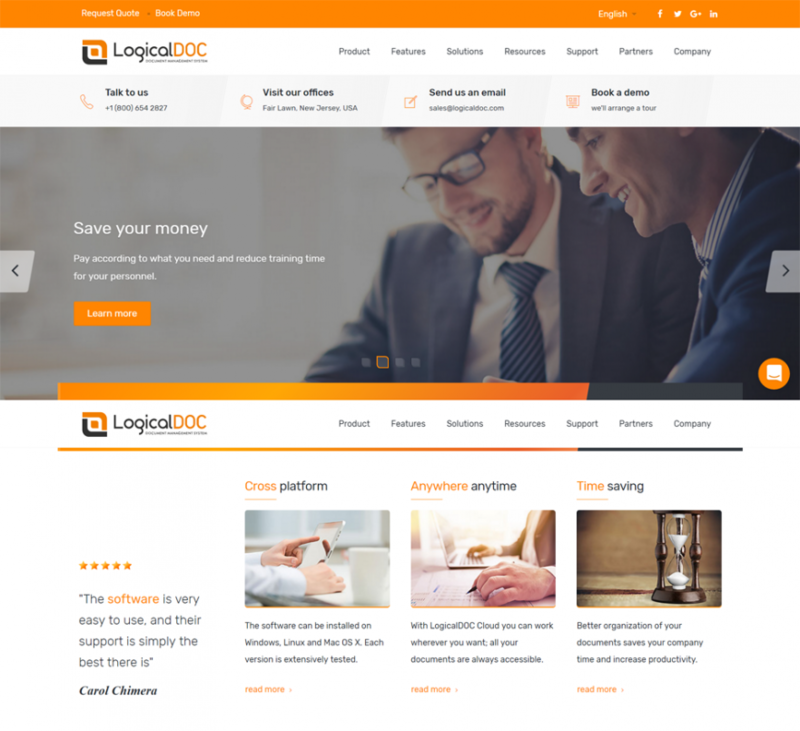 We at LogicalDOC are really excited about launching our new website. It’s 70% completed and should be ready by the end of next month (April 2017). Even now, it’s not bad, but it will be even better, in the meantime enjoy this preview of the home-page and let us know what you think! CTO for LogicalDOC from 2015, software and testing enthusiast. I'm responsible for some technological choices made in the design and of some of the artifacts that make up the galaxy of this document management system. The New Office and PDF Documents Viewer in LogicalDOC 7.6; Impressive! Join our community of bloggers and experts. Please see our editorial guidelines and submit your articles. LOGICALDOC Srl | via Aldo Moro interna, 3 41012, Carpi Italy | T: +39 059 5970906 | info@logicaldoc.com | Copyright © 2017 LogicalDOC. All Rights Reserved.